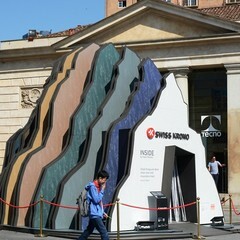 The Milanese should be prepared to see a new skyline for a few days, as a Swiss mountain is going to rise up downtown. 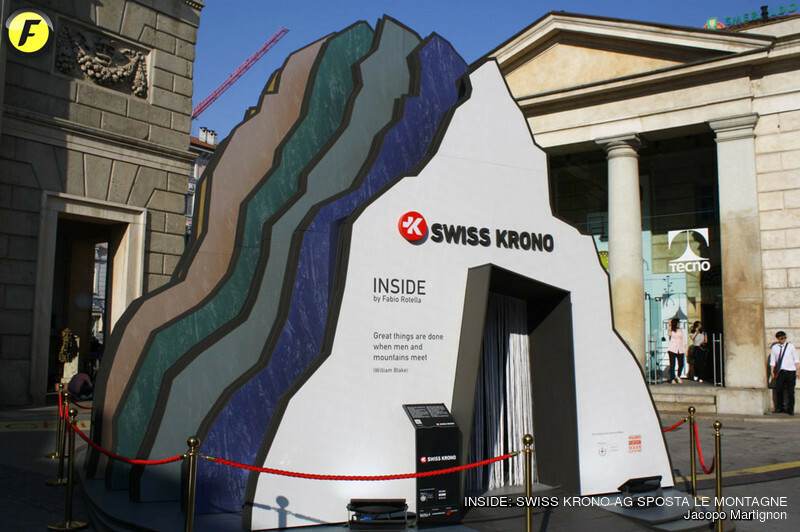 Preparations underway for SWISS KRONO AG, that will be back this year to Fuorisalone in Milan, one of the most coveted reviews of the global design and furniture business. Once again, the company will be in the forefront with a multifaceted project, combined with the promotion of a highly innovative material, SwissCDF, and the brand new finishing materials CamuStyle TX and CamuStyle ZX. 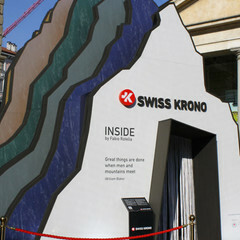 SWISS KRONO AG decided to take part with an ambitious project in collaboration with a big name: architect Fabio Rotella. Michela Muntean, “godmother” of the T-REX that appeared last year in the Garibaldi district, this year has selected Milan-based Studio Rotella to reinvent the topic using SWISS KRONO AG products. INSIDE is an art installation that represents the relationship between nature, people and living beings, contextualized in the new millennium. “A mountain in the city , a visual short-circuit made up of sections that build up the jagged image of a mountain, the Matterhorn, revealed through its own shape. 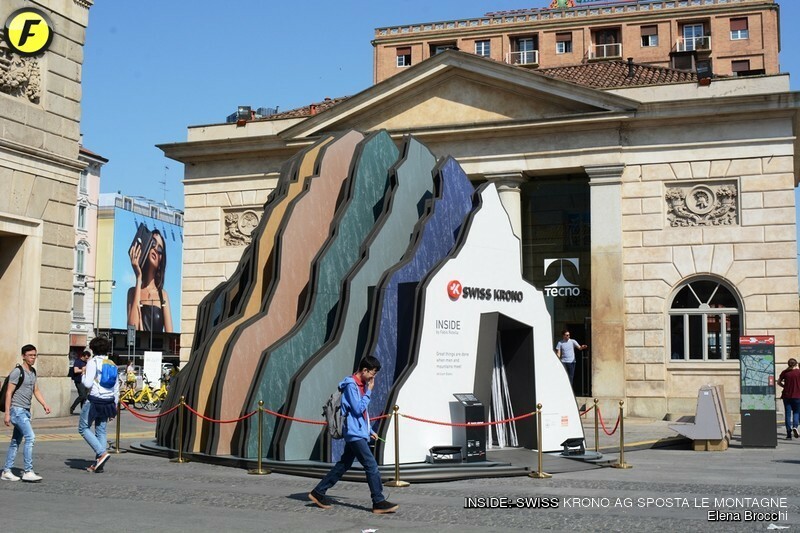 Entirely made of SwissCDF, a fully eco-compatible material, the installation invites to ponder on the relationship between industrial production and planet safeguard, a key issue for the ethos of the Swiss company. The SwissCDF panels will be embellished by the new CamuStyle TX finishing, with its texture inspired to classical construction and interior design materials (concrete, textiles and steel), and CamuStyle ZX, inspired to one of the most powerful elements in nature: thunderbolt, a decorative element that characterizes the entire collection. INSIDE, an installation for the city, is a structural element that invades the square and urges to think about modern times topics of planet safeguard.